Pro-mesh, Setting the Standard in Plisse Mesh & Retractable Screens. With over 10 years’ experience as one of the top plisse mesh manufacturers, and thanks to our faithful customers all around the world, we have gained invaluable feedback on the durability and longevity of our products. Our plisse mesh brand was built on actual reports of real use environments combined with internal research, years of testing different concepts, comparing diverse types of materials, understanding the many different challenges our customer faces, as well as taking into consideration humidity, temperature, locations and many more factors. Choosing the Right Material for your Plisse Mesh Screen. 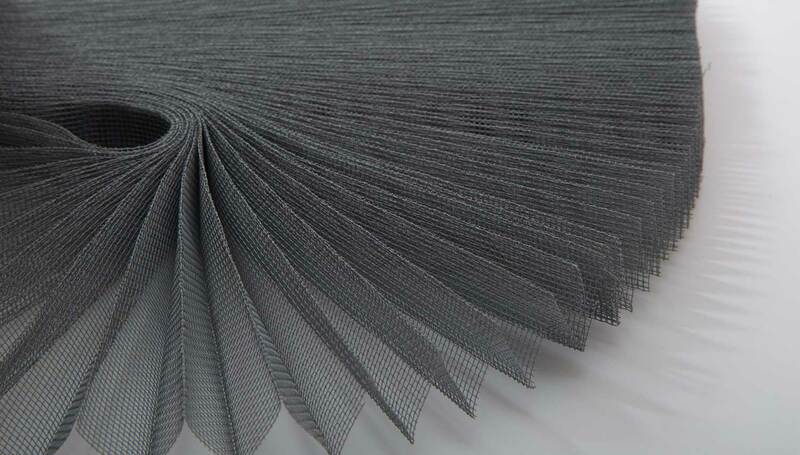 Many plisse mesh or pleated mesh manufacturers use fiberglass and/or PET as the base material for their pleated mesh insect screens. While this provides superior stiffness and rigidity, the downside is that the PET screen will have a rebound effect when folded and is harder to close. This is especially noticeable on fold heights of 15-16mm. 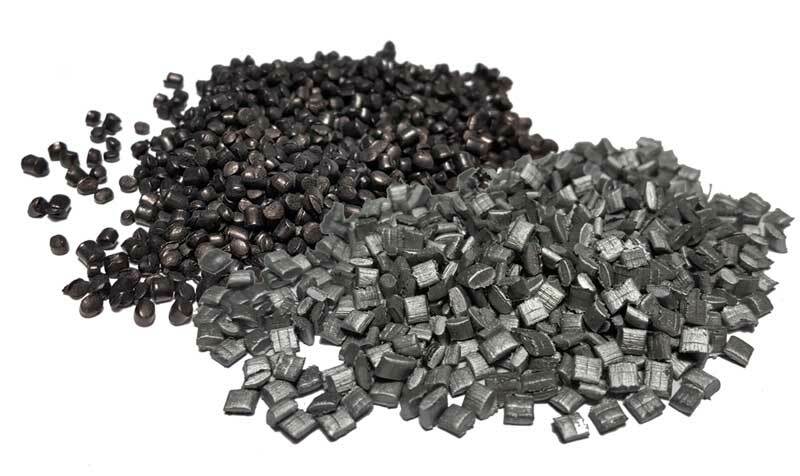 At Jiten Plastics, we were one of the first to use a specific blend of PP & PE for the base material. This helped us reach an excellent balance between rigidity and flexibility in our plisse mesh products. 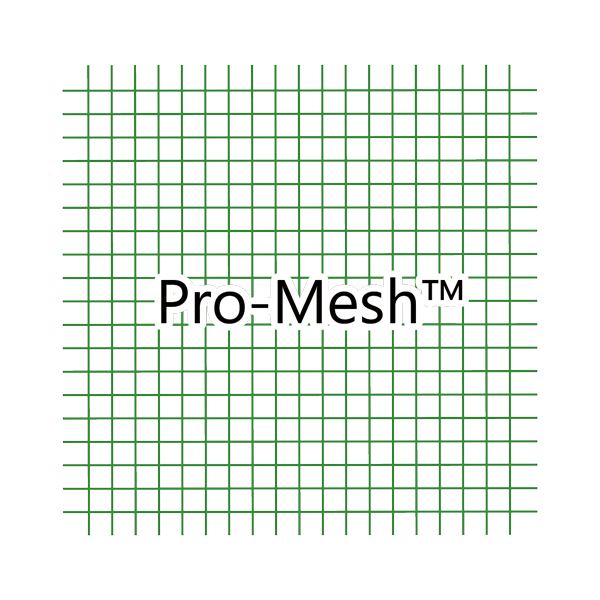 The result is Pro-mesh an improved plisse mesh that features excellent folding memory, outstanding durability, and a perfect balance between plasticity and rigidity. One key factor that will affect the durability, resistance to wear, and overall life span of your plisse screen mesh is the sealing or bonding method. At Jiten we have invested in the best equipment for manufacturing plisse mesh, we use precision (carbon tube) heating equipment to reach the natural melting point and deliver mesh screens that not only surpass in performance and durability all other competitor’s products, but also do not use any harmful chemical adhesives to reach the same effect. Other methods of bonding such as coating do not perform as well over time. Peeling or even breakage at the fold is clearly visible on lower grade plisse mesh when submitted to sun exposure and the elements over extended periods of time. High Quality plisse mesh such as Pro-mesh can be pulled opened and pushed closed thousands of times without resulting in deformation or damage. Furthermore, the retractable mesh should retain its elasticity and shape memory. The opposite can occur with cheaper or simply lower quality plisse mesh, where the manufacturer may cut corners with lower grade materials. Our use of flat woven yarn allows for a smooth and easy to clean surface, with no accumulation of dust. On the other hand, the surface of fine knitted yarn when magnified reveals staggered pits which tends to trap more impurities and proves harder to clean. With yarn materials (Hygroscopic) that easily absorb moisture, Internal moisture cannot be removed with hot air alone. The plisse mesh tends to lose proper shape, and elasticity due to the added weight of absorbed water over very long period of time. Jiten’s Pro mesh, uses Non-Hygroscopic Resins that do not absorb moisture into their molecular structures. This means that the plisse mesh material is always at perfect equilibrium. Any moisture collected is only present on the surface of the mesh and easily removed by a sufficient stream of warm air. Pro Mesh insect screen is a high visibility screen that offers clearer views, with improved airflow and excellent insect protection. Compared to standard plisse insect screening you will notice improved light flow, and a clearer sharper outward view. Homeowners can now enjoy more comfort and protection in all environments.